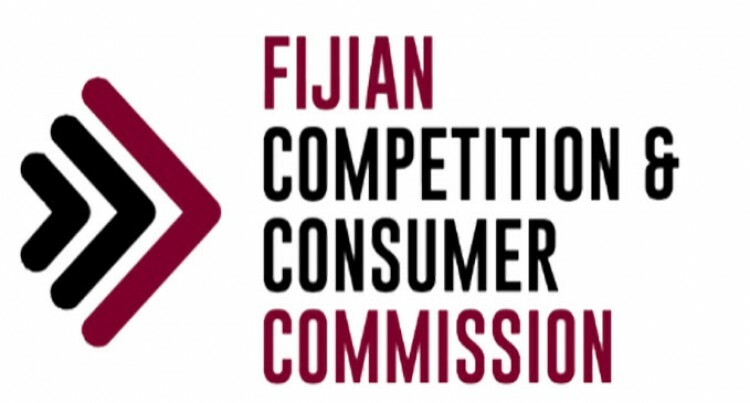 The Fijian Competition and Con­sumer Commission (FCCC) being an Independent Govern­ment Statutory body established un­der Section 7 of the Fijian Competi­tion and Consumer Commission Act 2010 (FCCC Act 2010) has its core roles of promoting competition, regulating monopolistic industries, controlling prices of goods and services where competition is lessened or weakened and protecting consumers from un­fair trade practices in the Fijian Mar­kets. Under Section 126 of the FCCC Act 2010, an officer of FCCC has the power to enter any premises suspected to be involved in activities that are deemed to be in breach of the FCCC Act 2010, make inquiries or examinations re­lated to findings inside those premises and can even enforce entry through search warrants issued by a court of competent jurisdiction. In addition, the officers of FCCC conduct market surveillance through monitoring the general market activi­ties such as advertisements, promo­tions, buying and selling, mergers and acquisitions, consumer protection and competition etc. The overall man­date for these roles is provided under Section 15 of the FCCC Act 2010. What is Monitoring or Surveillance of Price Control Items? Monitoring or surveillance of Price Control Items is the system put in place by FCCC for the conduct of price surveillance and physical checking of price-controlled items at various wholesale and retail outlets in Fiji. The price monitoring task is under­taken to ensure that traders comply with the provisions set out under Price Control Orders’ and Price Au­thorisation legally issued by FCCC. FCCC sets the maximum prices of price-controlled goods and services by way of price control orders and authorisations and all traders must comply with those prices. Price monitoring is often carried out through routine trader inspections and daily market surveillance activi­ties. FCCC appoints officers under Section 18 of its Act to conduct the monitoring and surveillance exercise and report to it any breach that may come to their attention or notice. Sur­veillance work is normally carried out through the checking of advertise­ments, promotions, buying and selling and addressing consumer grievances. Overcharging – This breach is identified when traders and consum­ers alike are found to have sold or bought, offer or accept, agree to sell or agree to buy any price control items at a price exceeding the maximum price set out by a price control order or au­thorisation issued by the FCCC. Prices to be Indicated – This breach is highlighted where a trader has for sale by retail any price control or non-price control goods and ser­vices without marking or displaying the maximum price clearly and in a prominent position for the informa­tion of the public. other particulars including VAT component,etc. Refusal to sell – This is a breach commited when a trader refuses to sell goods or services to a customer, if the customer has tendered the correct price of that good or service, but de­manded that a higher price than that prescribed by an order or authorisa­tion issued by the FCCC. No Pull dates marked – The breach is committed when a trader has goods of perishable or semi-per­ishable nature for sale without having the pull dates marked clearly on the packets. Bait Advertising – This is a breach committed by a trader who advertises a certain good or service at a price knowing that he does not have suffi­cient stock or the ability to supply the item at the advertised price, but in­tends to lure customers into his shop in order to sell other goods having much higher prices.